Today we’d like to introduce you to Gil Breef. Gil, please share your story with us. I started my interest in fabrics and design as a child in Israel, my grandparents were fabric dealers and fabricators in Africa and migrated to Israel where they passed the art to their children and grandchildren. After moving to NYC in 2000, I and my brother Yaniv opened a small store for custom window treatments that expanded to become one of NYC’s most recognized and awarded Window Treatments companies. When we decided to expand the family business, South Florida was the obvious choice as many of our NY clients own properties and winter houses in FL and The Caribbean Islands. We opened our 2,000 sq. ft. showroom in Ironside Miami, a hub for art and international design and it’s been a blessing. Since day one, we’ve been working hard to build and maintain a reputation of excellence with our clients by providing excellent customer support, attentive design and fabrication and most importantly, professional installation. Our efforts have earned us recognition in publications such as The New York Times, Architectural Digest, Aventura News, and Houzz as well as features in Bravo channel’s “Million Dollar Listing” and HGTV’s “Selling New York”. Moving a team from NYC to South Florida was not an easy adjustment as every market is different and our clients’ needs in FL are not the same as in NYC; The main reason clients need our assistance in FL is to assist with heat and glare control VS our clients in NY where the main concern is privacy and sound insulation. We offer products for any need, so the adjustment was very quick. We are very pleased with our standards of operation and with our professional team. Shades By Design is an award-winning provider of custom motorized and manual window treatments and shading solutions; Providing interior and exterior solutions for residential, commercial and marine spaces in South Florida, New York, and select Caribbean Islands. At Shades By Design We believe that every space deserves to be as stylish as it is functional. To achieve this, we partner with leading manufacturers (Hunter Douglas®, Rollease Acmeda®, Bandalux®, Graber®, Somfy®, Lutron®, Qmotion®, Phifer®, Mermet® and more) to provide window treatment solutions that are efficient, budget friendly, easy to maintain, and complement any décor and lifestyle. We know that every project is unique and requires accurate planning and design. Our team of professionals work closely with clients to uncover their unique needs and create the optimal shading solution based on the project’s location (interior or exterior), window structure, size, height, and more. With our extensive selection of colors, fabrics and styles available, clients can fully customize their shade, blind, motorized system or soft fabric treatment to their liking. Our goal is to make sure your window treatments are designed to blend seamlessly into your lifestyle. As a full-service supplier, we handle everything from the consultation, measurements, design and installation of your customized interior and/or exterior shading solution. From awnings, blinds, screens, shades, shutters, soft treatments, we can help you find the right for you. We can even motorize your favorite design and sync it to your existing home automation system! In addition to window treatments, Shades By Design also specializes in upholstery and wall-paper installation, giving you the ability update your surrounding décor to enhance the beauty of your new shading solution. 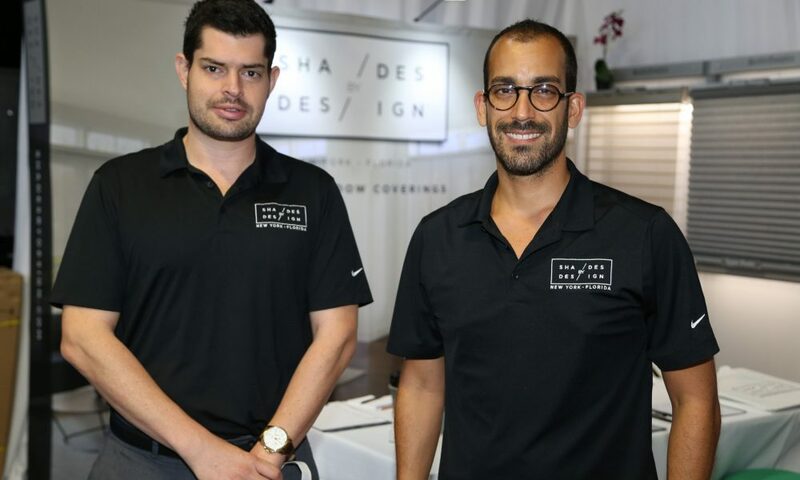 In addition to home and business owners, Shades By Design builds long lasting relationships with real-estate professionals, interior designers, architects and more. South Florida is expanding daily and there are lots of new developments on the horizon as the population is growing and Miami is becoming the hub of art and creativity which will continue to attract visitors and new residents who are interested in making South Florida their home. Address: 7814 NE 4th Ct.